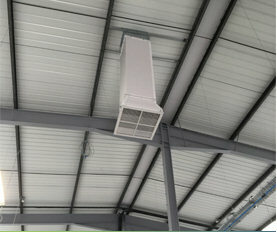 Evaporative air cooling provides the most energy efficient control of temperatures, particularly for industrial environments. During warmer weather (when outside temperatures are above 20oC), the proposed Breezair Evaporative Coolers utilise the adiabatic effect to reduce the temperature of the incoming air. In fact, the hotter it gets, the more cooling is achieved, as the external air is usually at lower relative humidity and able to absorb more moisture. For example, if the outside temperature is 30oC and humidity is 40% RH, the temperature of the incoming air will be reduced to a very pleasant 22oC. 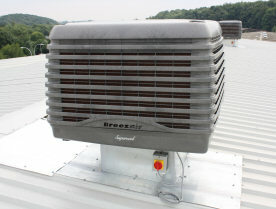 For other times, when the ambient temperature is below about 20oC the Breezair modules will not need to operate and the supply air can then be utilised to provide "free cooling". With extremely low energy consumption rates, evaporative coolers are up to 80% more economical than conventional air conditioning systems. 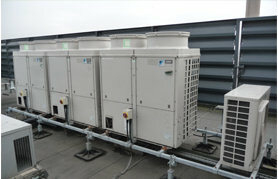 Optimair have many years of experience in the design, supply and installation of air conditioning, ventilation, heating and fume extraction systems for industry. 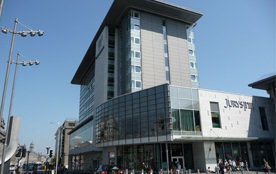 Please contact us to arrange a free no-obligation, technical survey.